The book chronicles the comic adventures of a young boy living with his eccentric (read: free-thinking and independent) aunt after his father dies. In 1958, Warner Brothers released a film adaptation that starred Rosalind Russell as the titular heroine. Russell was nominated for an Academy Award and won a Golden Globe for her performance. The film went on to become the highest-grossing U.S. film the following year because viewers found no end to the hilarity of a woman making her own decisions every day. [Tilda] is, like, from another world. She’s one of the most intelligent people I’ve ever encountered. … Her emails are like works of art, truly. They should be published. The way she communicates is just beautiful and poetic. … She asked me, “Have you read Auntie Mame? … Would you take a look at it? 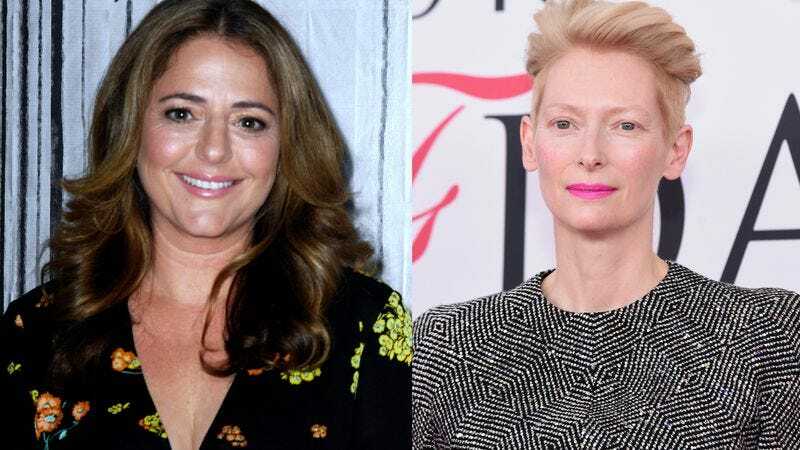 I want to see if you are interested in writing a modern-day adaptation.” I said yes, because you say yes to Tilda Swinton when she asks if you want to do something. Mumolo eventually brought on Stan Chervin, the Oscar-nominated Moneyball co-screenwriter, to help with the adaptation, which of course will star Swinton. Unfortunately, it’s going to take quite a lot of tweaking to make the new Auntie Mame the highest-grossing movie of the year. But the original novel isn’t very plot-heavy, so there’s plenty of room to reveal that Mame has superpowers and then usher in the Avengers.